Dentures or Dentures on Implants: What is a Better Investment? Missing teeth are no fun! Moreover, they can make it difficult to eat, smile and speak. What is worse, one or more missing teeth can impact your health. This is because remaining teeth can become loose, difficult to clean and more at risk from decay. Thus, missing teeth can actually affect your overall health and the health of your mouth. The best option is to explore ways in which you can replace your missing teeth. Tooth replacement is a safe and easy procedure depending on a number of factors. Here we discuss two popular yet very different approaches to treating missing teeth. One is dentures on implants and the other option is conventional dentures. Conventional dentures are the most common procedure used to replace missing teeth. When it comes to comfort, durability and aesthetics they score less than implant denture solution. However, in terms of monetary investment and time commitment, conventional dentures are both cheaper and ready faster than implant dentures. Major drawbacks of conventional dentures are that they can break if dropped, and their longevity is limited to 5-7 years with utmost care. Moreover, as jaw changes with the time, dentures often require realignments to function well. Dental implants are a modern alternative to dentures. By replacing your dentures with dental implants, you can finally have a permanent solution to your missing teeth. Dental implants are far superior to the conventional dentures. This is mainly due to the fact that they are better in restoring jaw bone and restoring chewing ability due to increased stability. 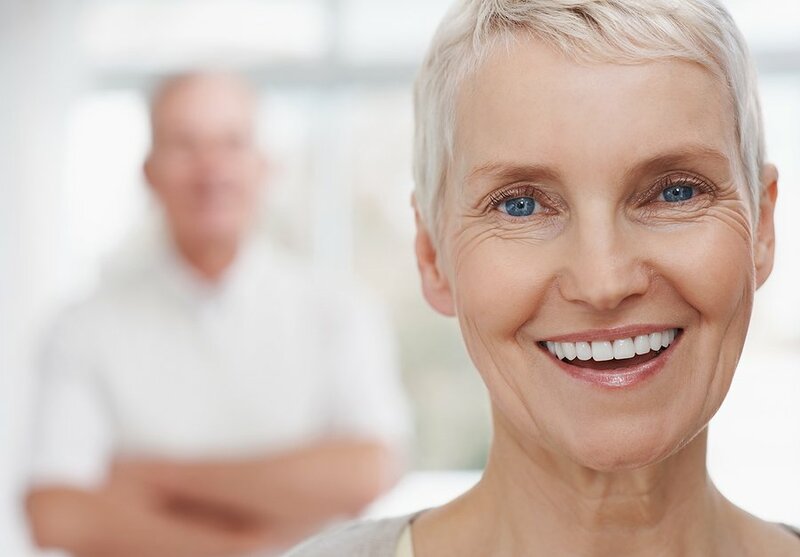 If you are considering dentures on implants as a solution for replacing your missing teeth, we invite you to visit or contact us at our Ottawa Denture Clinic location. We offer a full spectrum of denture treatment solutions that are suitable for everyone’s budget and needs. You can reach us at 613.262.6332. for a free assessment and a free complimentary consultation. Let us help you restore your beautiful smile today!